Someone once told me that I should like Jazz. Another person once told me that I should like The Blues. When asked why, it was explained to me in condescending terms that Blues and Jazz are the base forms of modern popular music. By following that example, I should like two rocks being rhythmically beaten together or the sound of hollow twigs being blown tunelessly as they are the basis of all music. Let me tell you, I don’t like jazz that much. I am not fond of the blues. I’d sooner listen to hollow twigs and rocks. But that isn’t me being dismissive. I appreciate Jazz and Blues for their place in music history, but it doesn’t mean that I “should” like them. 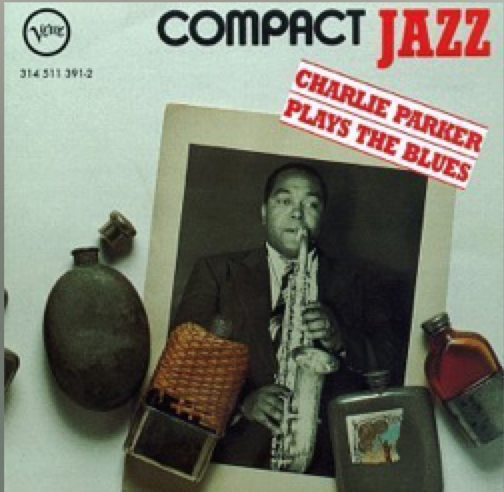 This album is in my collection because a hipster friend of mine suggested that I should listen to it so that I could gain a better understanding of how music works and how modern styles owe a great deal to the likes of Charlie Parker and his ilk; a better understanding than that given to me through the means of an A Level in Music History and Appreciation.